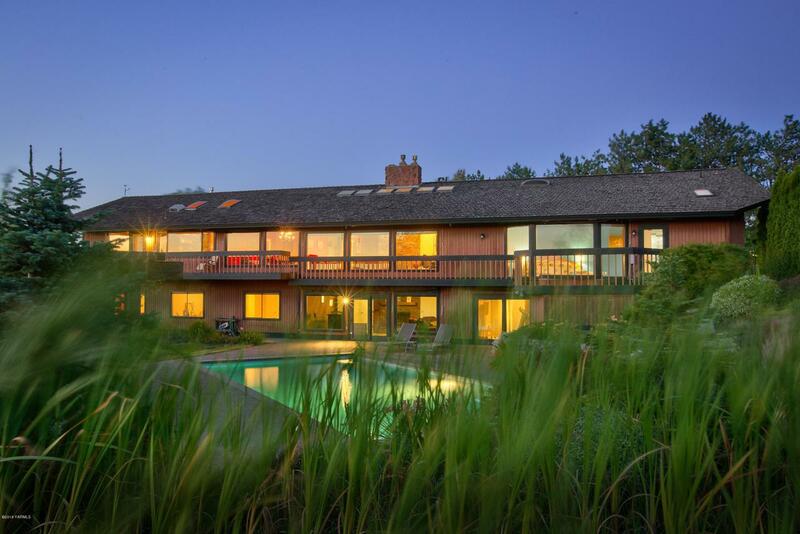 Down a private lane and set back from the road, this 2.26 acre home comes with unobstructed views of the valley. Part of the land is in Cherry orchard with Lapins. This is a gem in the rough. Main level master suite with westerly views of the mountain. Two additional spacious bedrooms. Exterior door to deck and hot tub. Beautiful hardwood floors to greet the entry and run through the first floor. Vaulted ceilings and picture windows leave a feel of openness. Chef's kitchen with plentiful granite counters, gas stove and sweeping views. Kitchen transitions to informal eating and family room with gas fireplace. 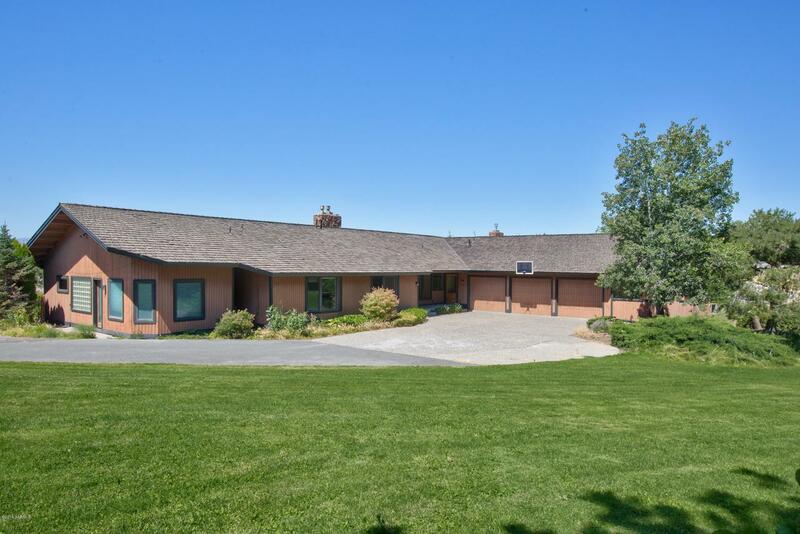 3 car garage with separate workshop/storage place.Lower level holds two more large-sized bedrooms as well as a media room, 2nd family room and a workout gym with 2nd laundry, sauna, and shower. 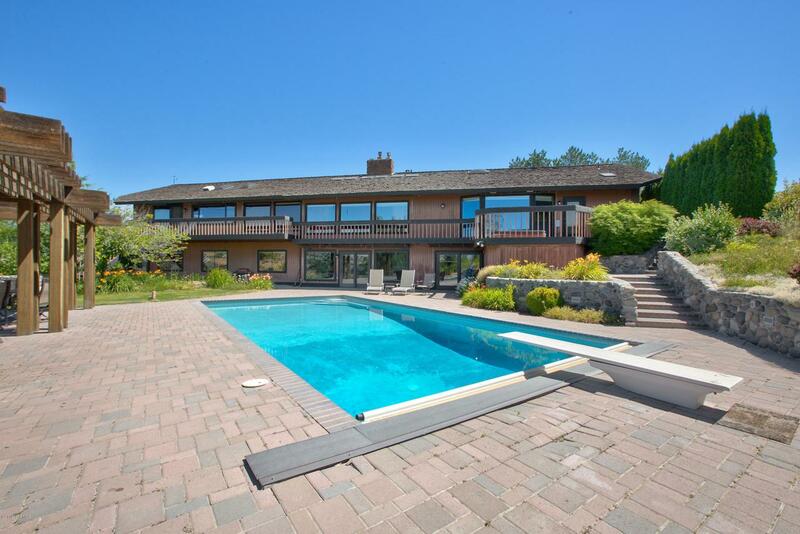 Lower level walks out to inground pool and lots of room to run in this backyard. Must see!